Opinion piece: Should you cancel your trip to Hokkaido? Should we cancel our Hokkaido holiday? Calm down. Stop the panic and just come – we are here and Hokkaido is STILL beautiful. Food, onsens, ice cream, beer, mountains, autumn foliage, animals…all still here and planes/trains/buses to take you there. This question is being constantly asked on these Forums – still – and the advisors who live here and work here – (I am 10 mins subway ride from Sapporo Station) are getting a bit frustrated. It’s safe. We are here. Please come. Of course, you should check online and with tourist offices about transport connections. The JR Hokkaido website is updated daily. Train services are returning to normal schedules. For driving information check this website, also updated daily. This is in Japanese, but the rec crosses on the map show roads that are closed. If you have a reservation with a hotel in the Chitose area, check the reservation. At the moment I believe only the Air Terminal Hotel is closed. Hotels in Sapporo/Noboribetsu/Toya/Hakodate/Asahikawa/Kushiro/Furano and Biei/Abashiri/Shiretoko etc etc etc…have electricity and water and food. There is a 20% Power Saving campaign in Hokkaido. This means some shops have switched off a few lights, or may open/close early. Some buildings have stopped one elevator. Some hotels may switch off vending machines on every floor. None of this will make much difference to your holiday. Food production and delivery is returning to normal – only a few empty shelves in supermarkets now. Maybe there are 5 instead of 10 types of bread in the hotel buffet. Maybe the yogurt is served in a smaller cup. We are all eating and drinking here! Sapporo and Asahikawa have major food festivals starting this weekend. Sightseeing places and museums are open. Yes – the ground is still shaking. This is unusual for many places in Hokkaido. There IS a risk of another strong quake…but if you come to Japan on holiday that is a risk you are putting yourself for EVERYWHERE in this country. Tokyo particularly…very overdue for a mammoth quake. We are surprised by the daily quakes…but we continue eating/drinking/working/golfing. Last week’s earthquake killed people and damaged roads/Buildings in places where foreign visitors never go. You won’t see those scenes from TV at all during your trip. So. Please. Calm down. And continue to come to this place. Don’t cancel the holiday. 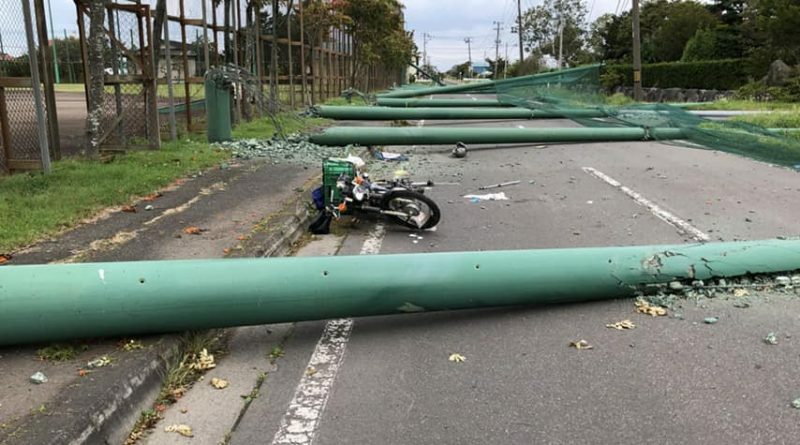 Earthquakes are scary – I am English and before I came to Japan I had no idea about quakes – but now I’ve been here 25 years and I understand – they come – they cause terrible problems in limited areas – and then Japan amazingly gets back to normal life. Me? I’m heading out today to go kayaking at Lake Shikotsu, I will stop off at a cafe on my way home for an ice cream and tonight I will be in Odori Park with friends enjoying beer and oysters at the Autumn Festa. Amanda is an expert Hokkaido adviser for Tripadvisor. She has also lived in Hokkaido for more than 20 years.